Deadlifting 170 pounds seemed out of reach for me not too long ago. I want to get stronger as time goes on and deadlifts are a reasonable ticket to do my best to make that happen. 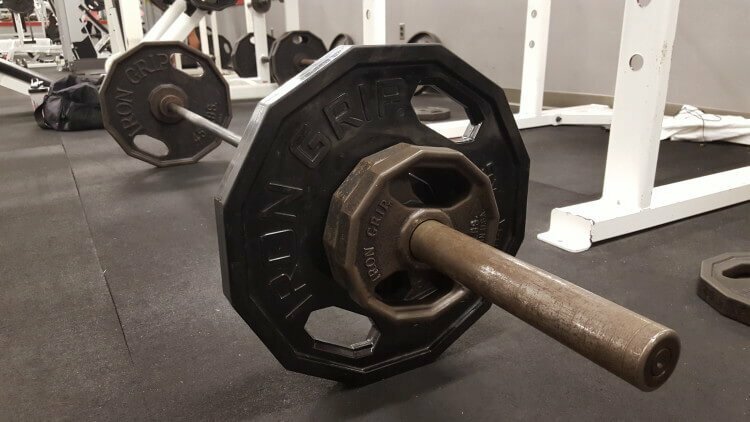 First, as usual, I believe that a squat workout before deadlifts is a great way to warm up for your deadlift workout. I know that some people out there encourage doing a lower and upper body workout on the same day. There are others who recommend splitting your upper body and lower body workouts. At this point, I think that the workout that you are able to do consistently and that feels beneficial to you is your best workout. When I have attempted to do lower and upper body workouts on the same day, I have felt too drained and too much time spent in the gym. Again, this is up to you, the individual, but I would not be surprised if splitting the lower and upper body workout is more effective for men over 50 wanting to get fit. The two reasons are 1) men over 50 might not have the strength and energy to physically do a full body workout in one day and 2) men over 50 might not have the time as well to spend in the gym or in their garage/basement. The best workout is going to be the one that you actually do, so I think it is wise to start small and keep building from there. 1. I can do a lower body workout of deadlifts and squats within one hour. I do 8 sets of squats before the actual squat work sets. The first 2 sets of 5 squats are without any weights, the next 2 sets of 5 squats are with 45 pounds, then 1 set of 4 squats with 65 pounds, 1 set of 3 squats with 95lbs, 1 set of 2 with 115lbs and 1 set of 1 with 125lbs. Yesterday was my personal record best for squats. After the above warm up, I did 2 sets of 5 squats using 130 lbs and then after another 5 minute rest did 1 set of 4 squats. My legs were starting to feel like rubber no matter how much I concentrated on the lifting phase of the squat with the power of the posterior chain, the rear end. The posterior chain is a group of muscles consisting predominantly of tendons and ligaments on the posterior of the body. Examples of these muscles include the biceps femoris, gluteus maximus, erector spinae muscle group, trapezius, and posterior deltoids. Frankly, I was pleasantly surprised that I had almost made it to 3 sets of 5 squats using 130 pounds. I am hoping to get to 135 pounds for squats by the end of next week. That would be a nice birthday present for age 59.
Who would have thought that a 55 year old man who was tipping the scales at 275 lbs and could not bend down to tie his shoes could be doing squats with those two 45 lb plates and almost down to 190 pounds. If you are a man over 50 or know a man over 50 that has given up on getting into shape or getting back into shape, do not give up. You can still get fit, even over 50 and probably even over 60. It boils down to vegetables and other best quality foods, you know what they are, real foods. Back to the deadlift workout of yesterday, after finishing squats, I set up for the deadlift with 170 pounds and did 1 set of 5 deadlifts. The deadlifts felt good, so I am going to go for 175 pounds tomorrow after a squat workout that I hope will result in at least 3 sets of 5 squats if not 4 sets of 5 squats. Are you a man or do you know a man over 50 who wants to get fit, lose weight, get healthier? If yes, please consider the benefits of deadlifts, squats, pushups and vegetables to get fit faster than you would have ever dreamed. Please share your comments, questions or knowledge about upper body and lower body workouts, deadlifting, squats, getting fit.